I knew I wanted to pursue my study even before graduation. But there were a lot of things to think about. I need to find scholarship, figure out how to delay my bond with Khazanah and actually find the courses that would worth my time. I planned to study overseas since I did my diploma and degree locally. It's gonna be good exposure, I believe. What I did was to go over the list of 50 top universities in the world. I shortlisted UK institutions and went to their website to see if any particular Master taught courses is of my interest. 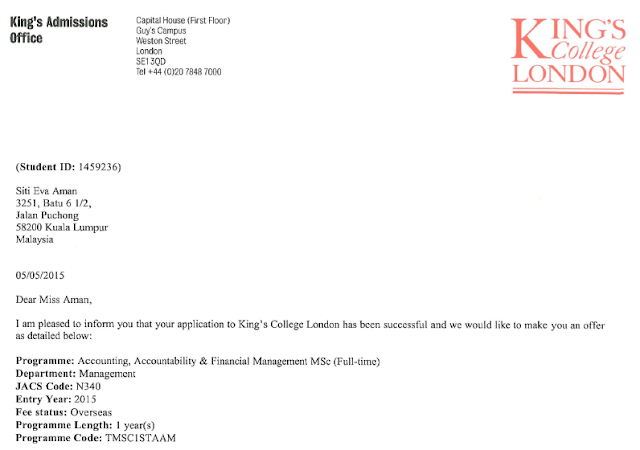 When I was looking, I was very particular about the modules they offered and KCL has everything that I had in mind. The application process was interesting. The first year I applied (2014); everything was done online, free of charge. 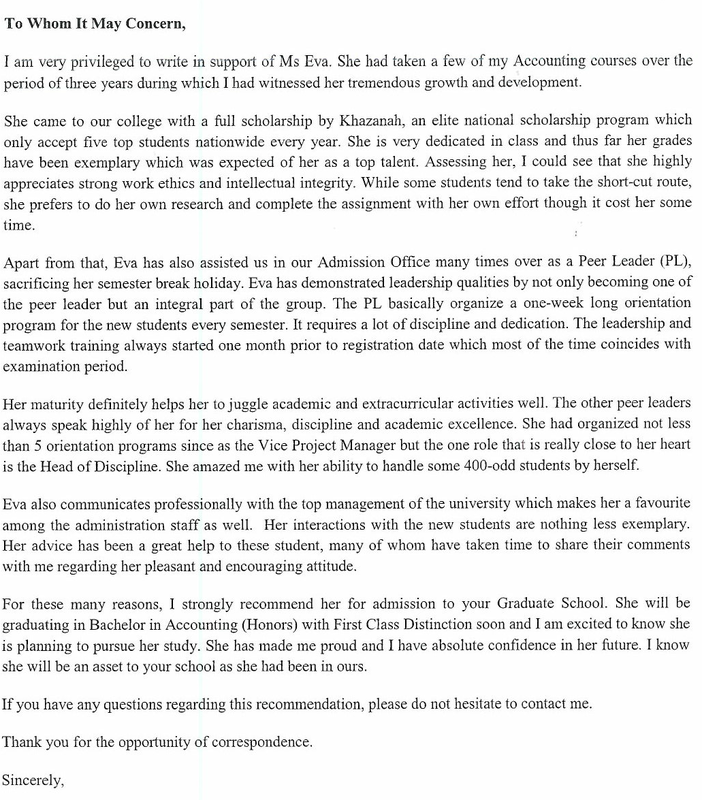 Recommendation letter is a must for postgraduate study application. Usually they would ask for a couple of em. One of the most interesting part (for me) was knowing what your academic referee wrote about you. 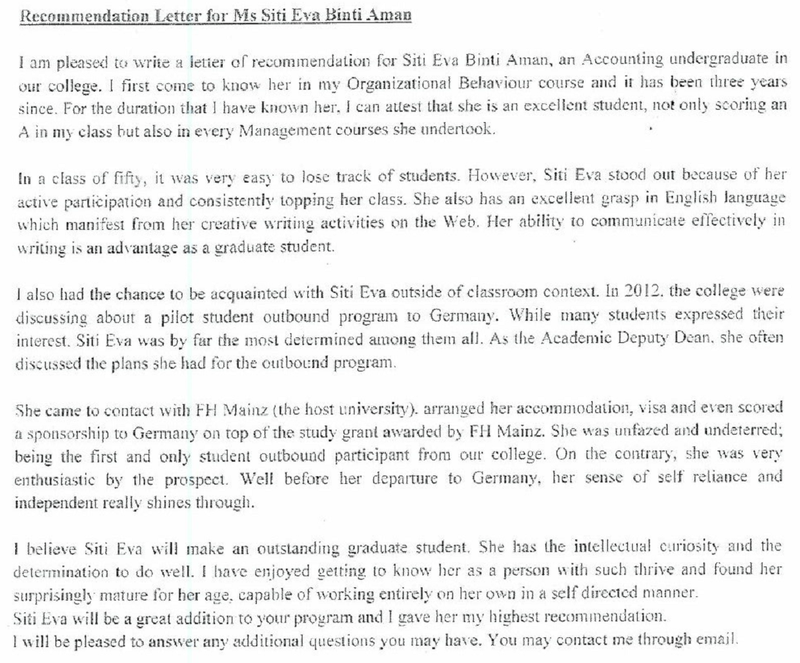 The glowing recommendation letter really boost my confidence. My advice for the recommendation letter; go to the lecturers you are most comfortable with and knows you the best. I went to 3 lecturers; my dissertation supervisor, my Account lecturer and the Deputy Dean. 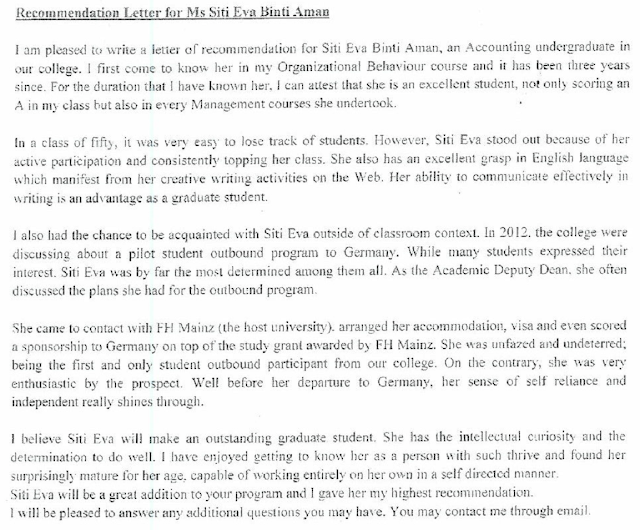 Since Deputy Dean (Dr Shahrul Nizam Selahudin) was a very busy man, he asked me to outline the points that I would like to be included in the letter. Malu sangat rasa nak puji diri sendiri so I just gave really simple points for him to elaborate. But, his letter turns out great and he included points that I did't mentioned in my draft. After you got all the letters and documents in place, you can just upload them and pray for the best. Another thing to prepare is the personal statement; describing your academic background, reason for applying and how you could benefit from the program. I remember the email (result) came at 4 in the morning. Now the hard part of getting a scholarship. 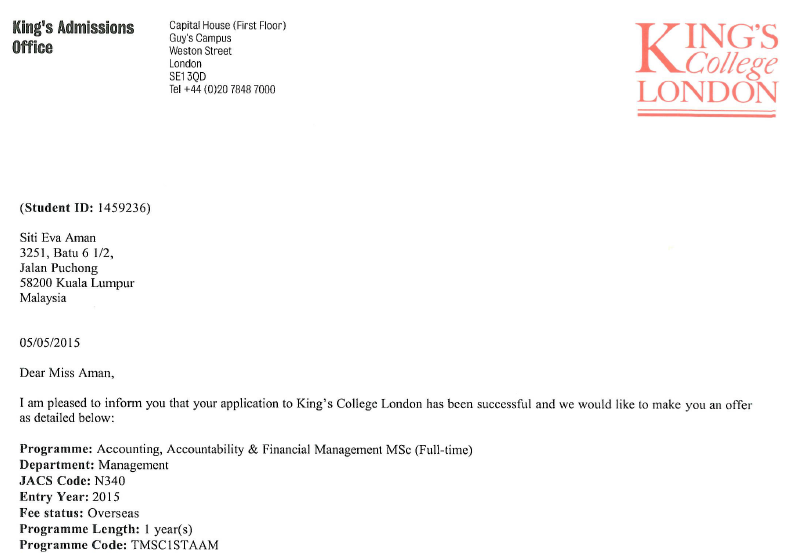 Though KCL is in Khazanah's list of universities, I still need to complete my bond before I can re-apply. So that's one down the drain. Believe it or not, at that point of time there was not a single scholarship available for overseas students to do Masters that I'm eligible to apply. The next year (2015) I tried again as I heard MARA did offer scholarships. I re-applied at KCL but starting from that year onwards, there was application fee of 50GBP (Duit melayang di situ). And again, I got in. And that year, was the year that MARA decided to hold off all overseas scholarship, turning them into education loan instead. Ain't nobody got time for that. To pay back everything plus interest. That's not a wise move in my opinion. I was not THAT desperate to go. Tapi ada hikmah di sebaliknya. I applied for Peneraju's ACCA scholarship and got it. 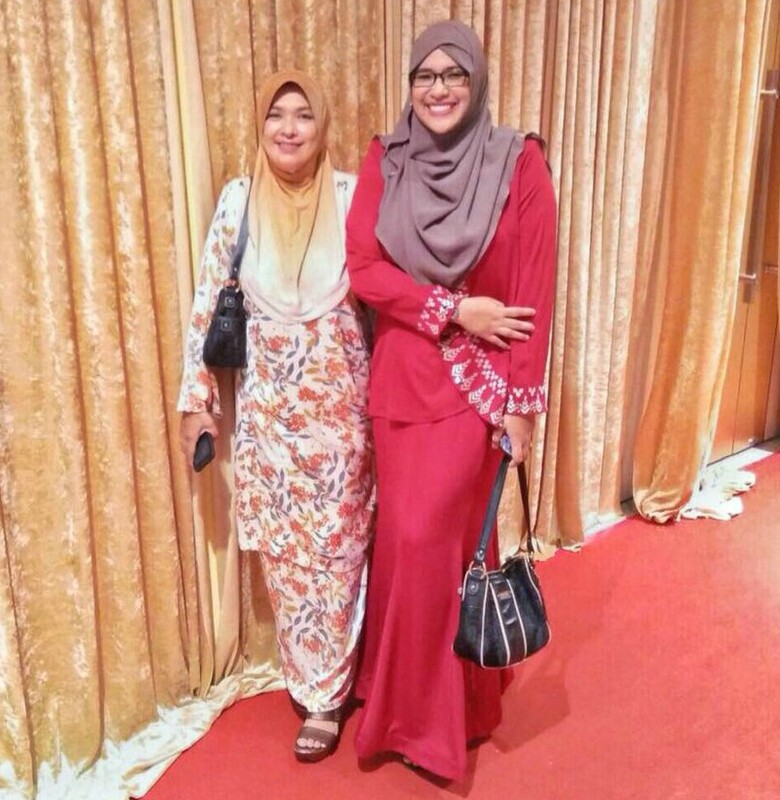 InsyaAllah after I become ACCA affiliate I'll continue my Masters journey. 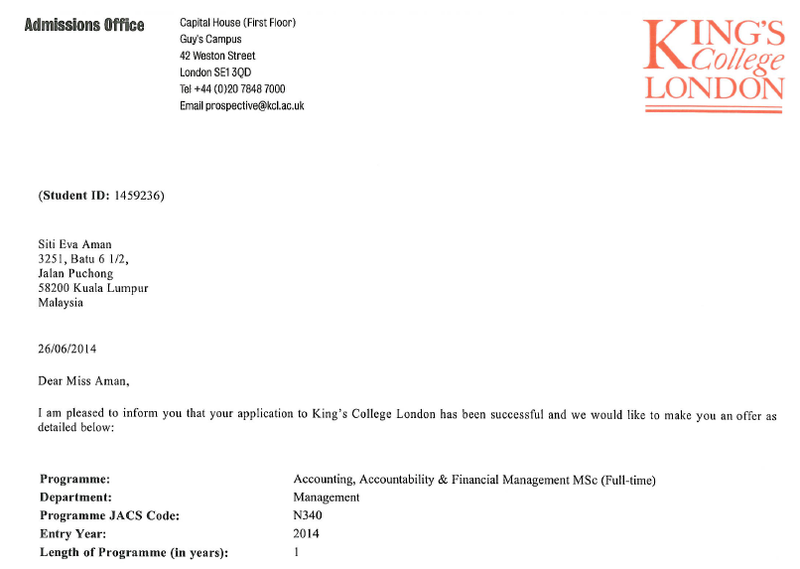 It may or may not be in King's College London, or it may or may be immediately after I graduate with ACCA, but I know I'll want to do it.